A call for a stratop went out: Alpha fleet with the usual smattering of dics/hics and intys. 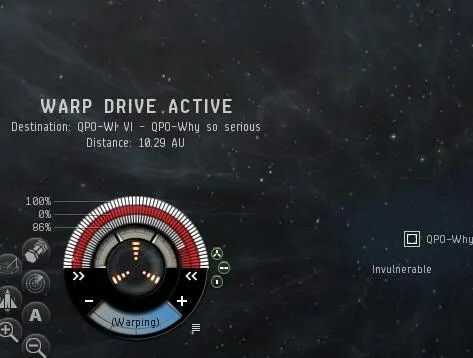 I had just used my clone jump timer to jump from deklein to Cloud ring for a corporate op when the ping came over jabber. I’ve been wanting to try my new raptor out for a while now and so I burned from CR to our staging point in Deklein to get there just in time to form up on the titan. I’m feeling fairly small at this point, I’ve pretty much never been in a large fleet in anything smaller than a cruiser before. The FC did something different though: he called for instacanes. we ended up with about 5 or 6 of them in fleet, which I thought was weird. The fleet seemed to be in no rush. but when it happened it happened fast. The FC told us to set our destinations for GIH-ZG, then told the idiots who started warping there to stop it and get back on the titan. The titan opened the bridge and we found ourselves two systems from our destination. The FC told us to individually burn as fast as we could into GIH and then warp to a fleet member at a friendly POS. 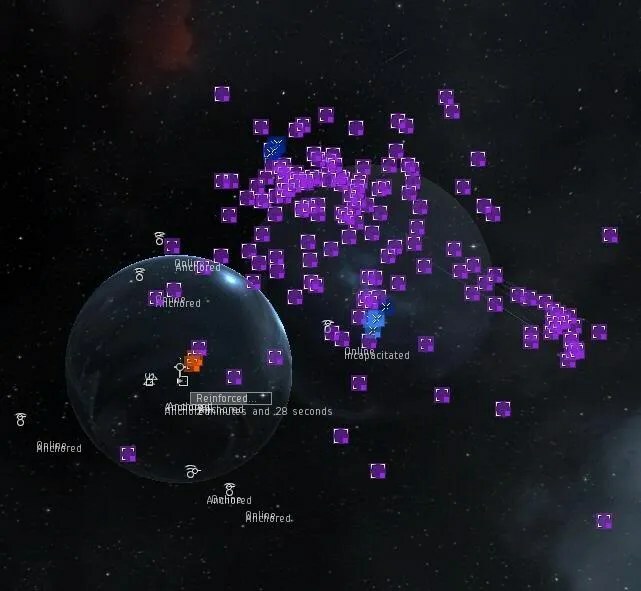 It turned out that this was all done due to systems surrounding our destination were cyno-jammed and because there was an enemy bomber/recon fleet inbetween us and our target system. going on the safety in numbers principal, we only lost one battleship out of the 180+ fleet getting into the system. 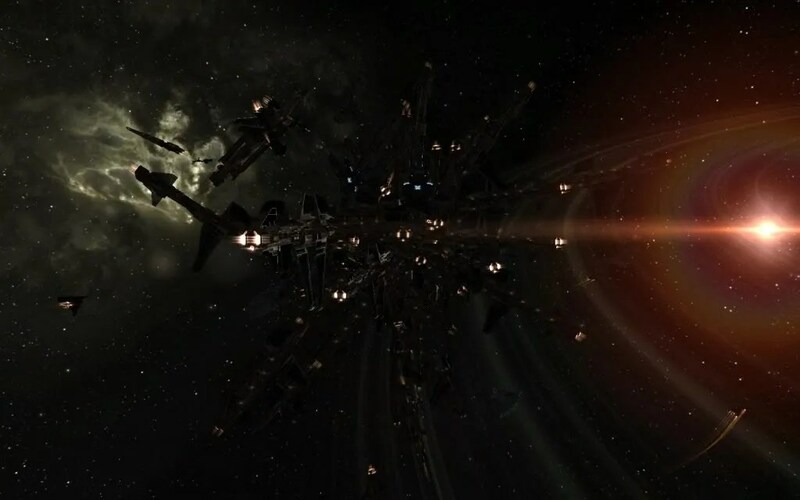 So we waited for it to come out of reinforced and the alpha fleet shot it down. 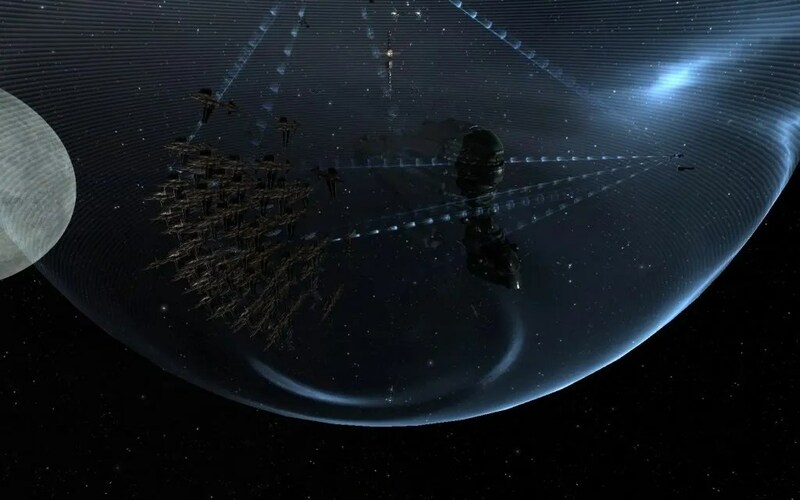 I sent a round or two into the tower for killmail goodness and then settled in, orbiting the fleet, ready for anything. Anything came, and it became quite clear why the FC wanted the insta-canes. 17 bombers and an interdictor later the bad guys stopped comming. I managed to get on my first kills in a raptor including a final blow on a pod, which never happens for me. I was quite a bit uncoordinated unfortunately – I need to practice and memorize the keyboard shortcuts for align to and that sort of thing. I’m sure I could have been more effective if I didn’t stuff around so much with clicking things. As it turns out, holding your cloak after a gate also gives you immunity to AOE weapons. I did not know this. I’ve never had to worry about bombs before as my usual ship the Onyx tanks more than battleships, and pretty much the last time I flew a battleship, they had to be tanked for doomsday AOE. so there you go: even though I’m not planning on flying interceptors regularly, I have learned something useful. The lessons learned today will still be useful when I fly light dictors in about 2 weeks time.